30 minutes before cook time, remove the lamb chops from the fridge. 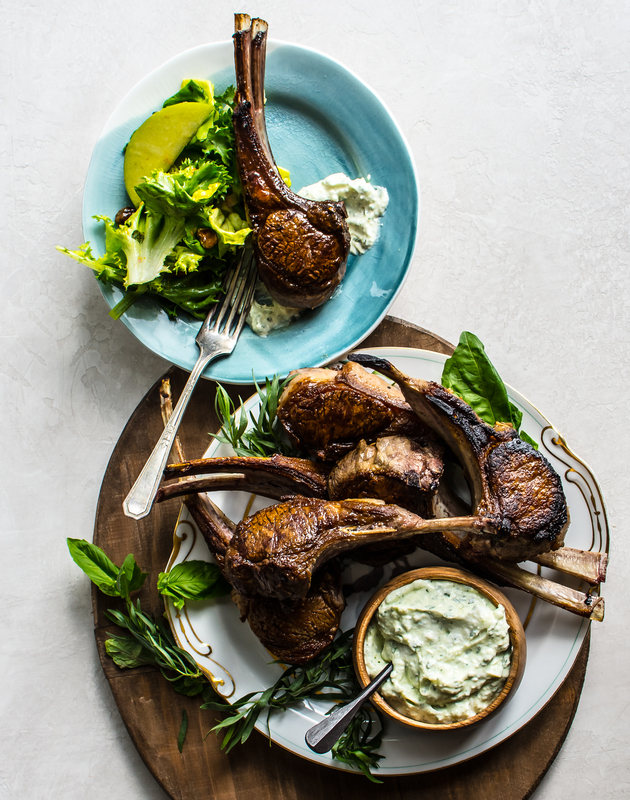 Drizzle with olive oil and evenly distribute salt over all sides of the lamb. Use salt according to taste. 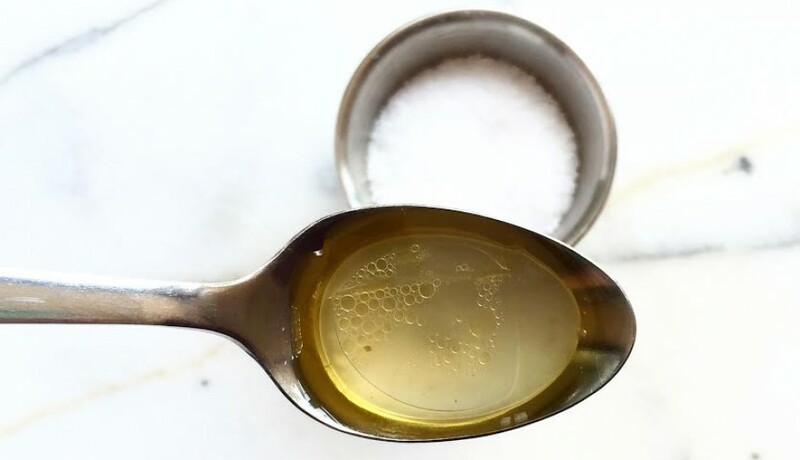 Place 1 tablespoon olive oil, half of the shallot and 2 garlic cloves into a cast iron skillet. Warm the pan over high heat. Once the pan is hot, add 1 tablespoon unsalted butter to the pan. Let it quickly melt. Quickly place half of the lamb chops into the skillet. Cook 3-4 minutes per side, for rare (for medium cook longer), for a total of 6-8 minutes. Remove the lamb and place onto a platter. Cover. Wipe out the cast iron using tongs and a paper towel. Discard the shallot and garlic. Repeat steps 2-4 with the last batch of lamb chops. Serve with feta yogurt sauce. Place a strainer on top of a bowl. Add a layer of cheese cloth to the strainer. Place the yogurt into the cheesecloth lined strainer. Cover and place into the fridge for 2-3 hours to let the yogurt strain. Place the remaining ingredients into a food processor. Blitz until pureed and well combined. After the yogurt has been strained remove from the fridge. Place the strained yogurt into a medium sized bowl. Combine the feta-herb mixture with the yogurt. Mix well. Serve chilled. This entry was tagged A Pleasant Little Kitchen lamb, A Pleasant Little Kitchen lamb chops, dallas food blog, dallas food blogger, easy a pleasant little kitchen recipe, easy lamb chop recipe, easy yogurt sauce, feta yogurt sauce, herbed feta, herbed yogurt, holiday lamb chops, pan seared lamb chops, pan seared lamb chops with feta yogurt sauce, what to make with lamb. Bookmark the permalink.